I am a licensed professional counselor in Charleston, South Carolina, who specializes in the treatment of trauma and abuse. I take a creative approach to therapy, which is what helped inspire me to create Scentervention. One of the therapeutic interventions I use with clients is to create a gratitude box and decorate it with quotes. I then ask my client to pick which quote speaks most to them. 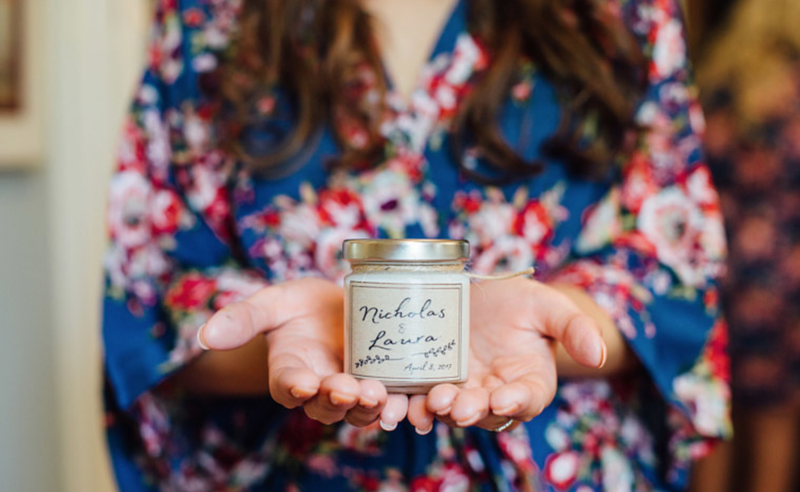 The quotes that appear on Scentervention candles are a result of this process. I encourage my clients to fill their gratitude box with things that bring them joy or comfort, and to write down things they are grateful for, good things that happen to them, or things they like about themselves. When they are feeling down, they can open their gratitude box and remember the good in their life. I truly believe life is a collection of moments, and the more positive moments you can collect, the happier your life will be. We aren't just given these moments; we create them. And when you are in your deepest and darkest moments, sometimes you just need a little light and a lot of courage to find your way back. As a therapist, I am inspired by my clients' strength and courage everyday, and passing that inspiration on is what Scentervention is all about. Life is a collection of moments. we aren't just given these moments…we create them.